In the heart of Japan and directly connected with an international airport, Aichi Sky Expo is your best choice to plan your event in Japan. 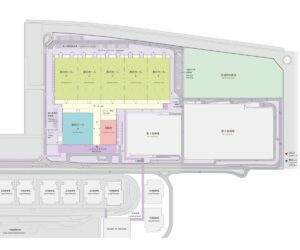 Aichi Sky Expo offers 60,000 m2 of exhibition space including a hall (Hall A) without pillars of 10,000 m2 and also outdoors space of 40,000 m2. Aichi Sky Expo the place where it all begins. 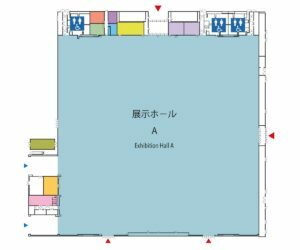 5 connected halls of 50,000 m² in total offer the largest exhibition and event space of its kind in Japan. Due to their modular structure, they can be used separately (10 000m²) or connected in order to cater to the needs of large-scale events and exhibitions. 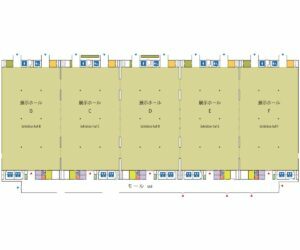 Aichi Sky Expo can accommodate concerts, shows, sport and live events due to its multi-purpose Hall A (10,000m² without pillars, ceiling height of 20m) and 40,000m² outdoor area. In addition, our expertise in providing event solutions and no sound limitation offer endless opportunities to event organizers. With a 3,400m² conference center comprising 18 modular rooms from 30m² to 800m² the venue can accommodate meetings of any size and configuration, from smaller conferences and events to large-scale conventions and product launches. As part of trade show or an independent event, Aichi Sky Expo provides space and services (food and beverage, audiovisual solutions…) to organize conferences, gala dinners, receptions and corporate events. Aichi Sky Expo includes a parking area of 3,500 units for cars, 60 for large vehicles and 40 units for disabled persons cars. Our international professional team is at your disposal to assist in your project. Food and beverage offers include breakfasts, coffee breaks, buffet and seated lunches and dinners, lunch boxes and other customized services. Japanese, international, vegetarian, halal and specific-requirements cuisine can be served in order to correspond to the expectations of any type of attendees. Aichi Sky Expo team provides signage and advertising services within the exhibition and convention center and also in the nearby public locations. Our partners will be able to offer you various solutions for your booth from the preparation of the concept to the construction with the latest technologies. All the additional services you may need, such as : interpreting, transportation, cameraman (photo & video), tourist and incentive options. 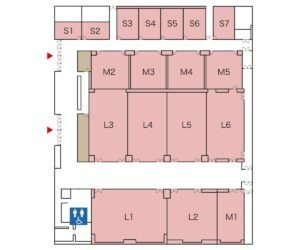 5 halls that can be used separately or connected, offering endless possibilities for event layout. > Organizer office, 2 rooms for business meeting, multipurpose room. 6 Large conference rooms, 200~300m2 per room. Multi-purpose site is an outdoor area adjacent to the exhibition center which can be used for a variety of purposes including outdoor concerts and outdoor sports events.